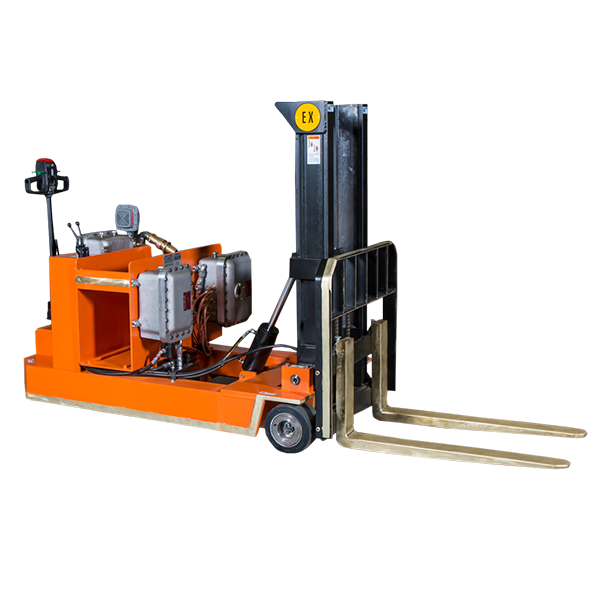 RICO’s EX Counterbalance series is at the top of its class when it comes to explosion-proof fork lifts. This design is offered in a stand up Rider or walk behind version for maximum safety and comfort. All vehicles are custom engineered to meet your specific application and hazardous load requirements. Single drive vertically or horizontally mounted transmission.